Tri-County Alliance of REALTORS® is offering Real Estate Principles & Practices courses for those who are interested in becoming a real estate agent. Our January 2019 P&P course is currently in session. Our next course is scheduled for June 2019. See flyer below for more details. 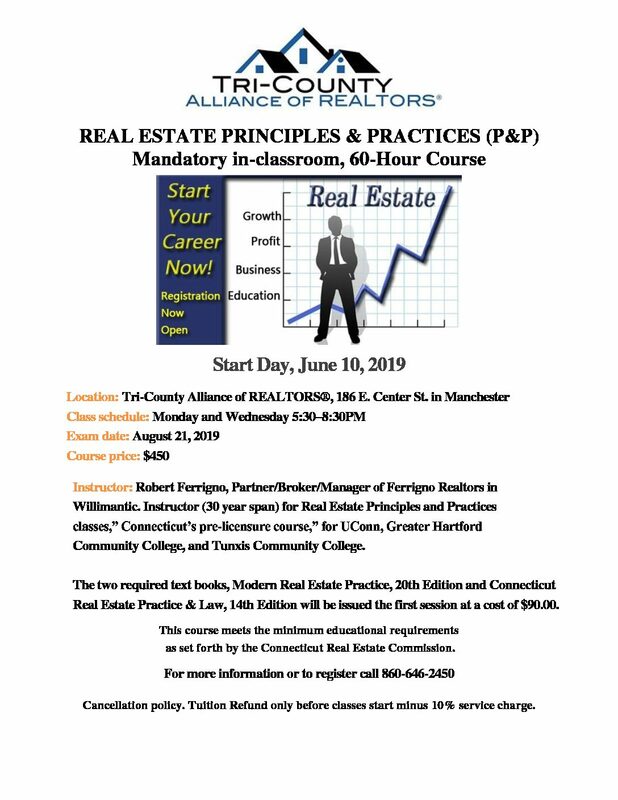 For more information on upcoming Real Estate Principles & Practices courses for 2019, please call our office at 860-646-2450 or e-mail us at Tri.County@sbcglobal.net and ask to be added to our contact list.